At about 2:17 PM on Thursday, May 24, 2018, officers assigned to the Youth Violence Strike Force arrested two suspects after recovering two loaded firearms during an investigation in the area of 17 Harbor Point Boulevard in Dorchester. Officers arrested Devonje Goffigan-Williams, 18, of Somerville, and a 17-year-old male from Brockton after recovering a loaded .22 caliber Colt Government Model and a loaded 9mm Smith & Wesson M&P handgun with an obliterated serial number. Devonje Goffigan-Williams will be charged in Dorchester District Court with Unlawful Possession of a Firearm (2nd and Subsequent), Unlawful Possession of Ammunition, Carrying a Loaded Firearm and Armed Career Criminal (Level 1). 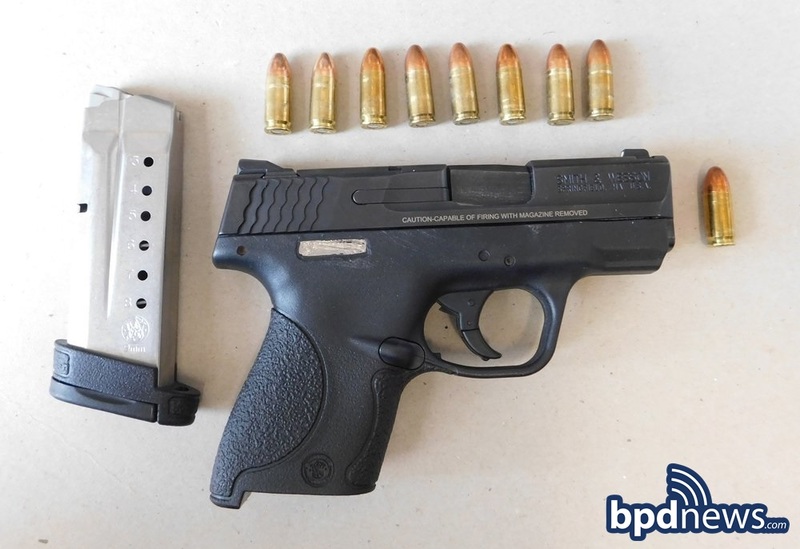 The 17-year-old male suspect will be charged in Boston Juvenile Court with Unlawful Possession of a Firearm, Unlawful Possession of Ammunition, Carrying a Loaded Firearm and Possession of a Firearm with an Obliterated Serial Number.